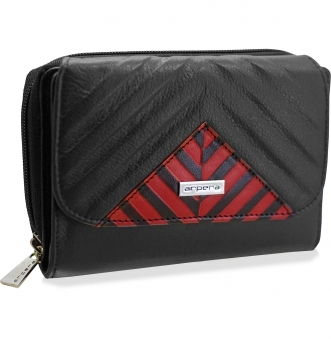 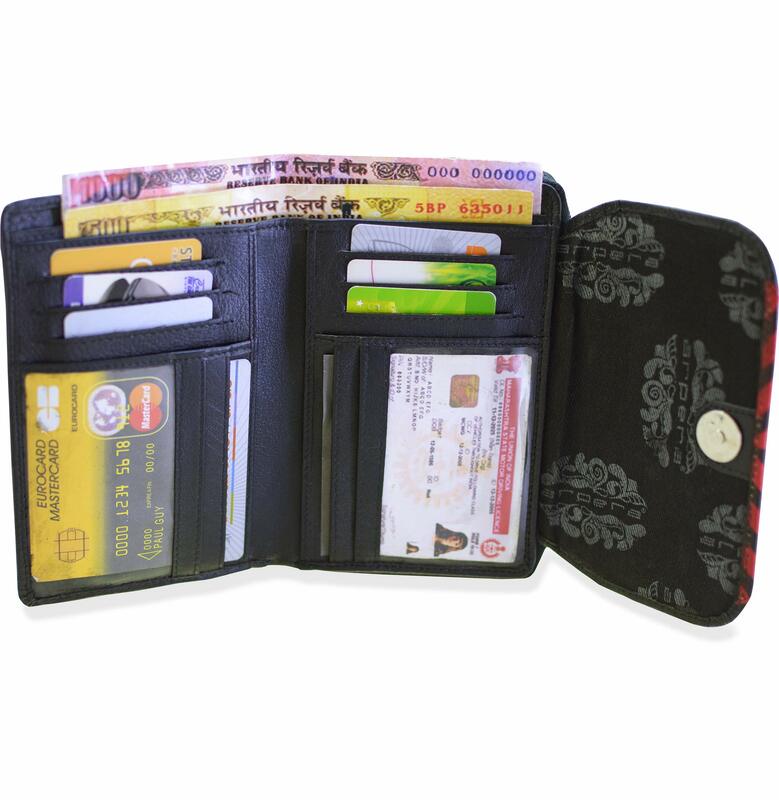 This wallet for women keeps you completely organised.Ideal sized,put your phone,keys,cards,cash,knick knacks all organised compactly.Will accomodate phones upto 5.75" and smaller in the zipper compartment.Hand-crafted from Nappa Genuine soft Leather.8 credit card slots provide ample room for all your important cards.The ladies purse has 2 transparent I.D. Card windows.Organize your Currency in the 2 note compartments.1 Chain Compartments for knick knacks.1 coin compartment for coins. 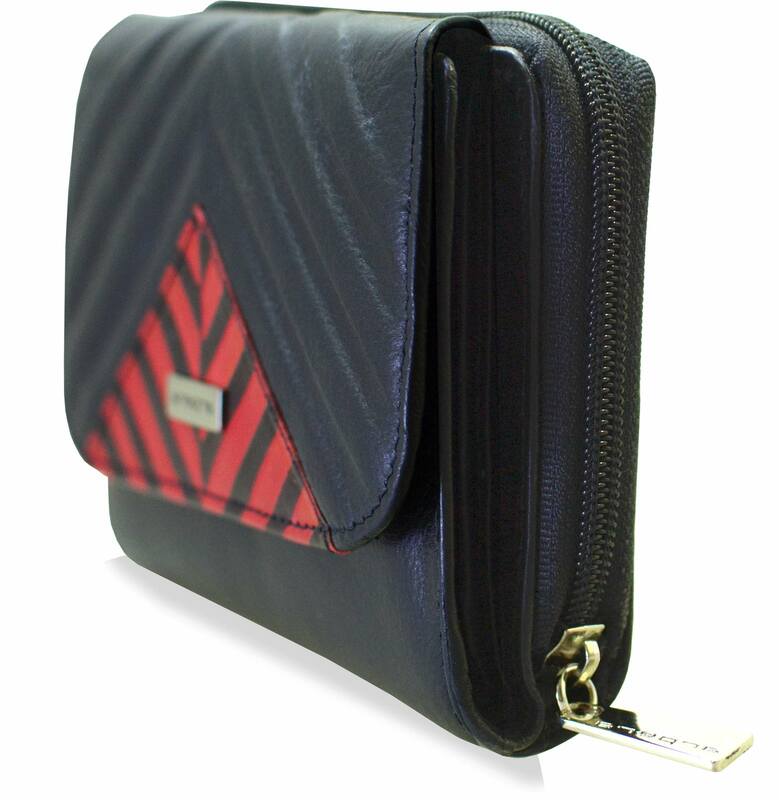 Secure Closure by a zipper. 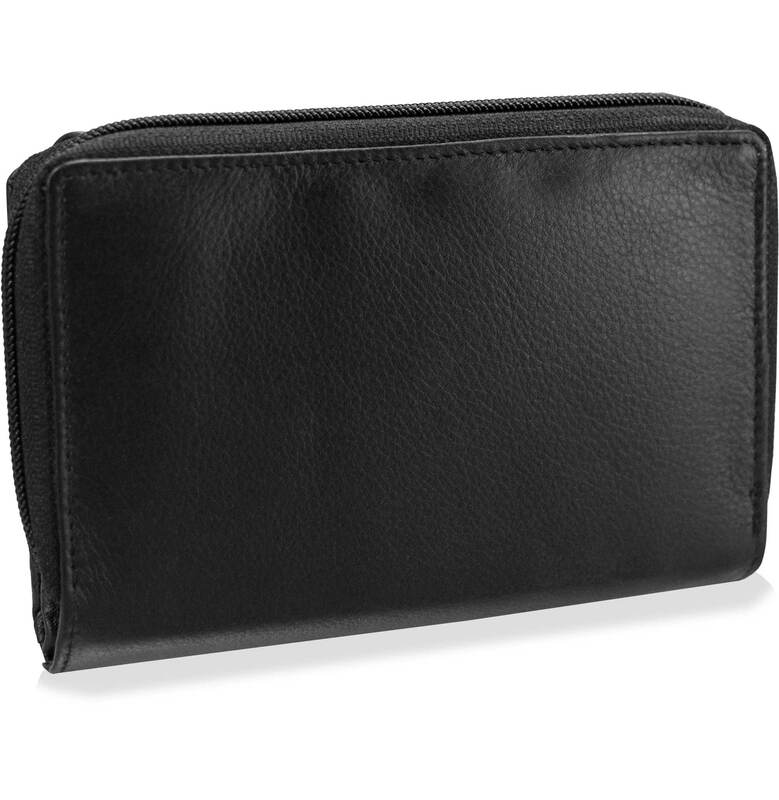 Dimensions when closed ( inches) : L 4" x B 6" x Depth 1".When opened (inches) : L 4" x B 11.5" x Depth 1".